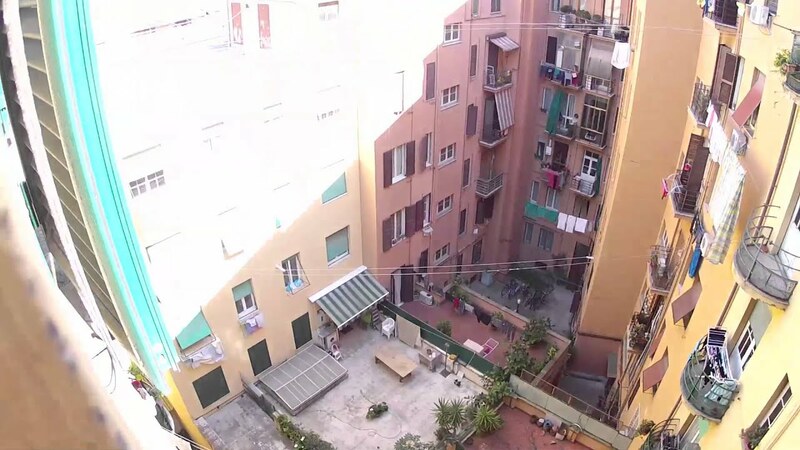 This 3 bedroom, 1 bathroom apartment located on Via Degli Ausoni has a twin room available for rent. The other two rooms are occupied by 3 other female tenants between the ages of 20 and 25. They are Italian and either work or study. This apartment is on the 6th floor and has a sunny terrace that overlooks the surrounding neighborhood. The flat is located in the lively, student-centered district of San Lorenzo, close to many bars and cheap dining options, and the Sapienza University is a mere 10 minute walk. This room would be perfect for those studying in Rome and want to be close to their campus as well as all the fun nightlife that the Eternal City has to offer! This apartment is located on the 6th floor of a building which is equipped with an elevator. It has natural gas heating and electric water heating. You can dry your clothes on an individual rack inside the floor. The minimum lease for this apartment is 60 days (2 months). The best feature of the apartment is the big, exterior balcony that overlooks the rooftops of the San Lorenzo district. The apartment has new parquet floors. The kitchen is spacious and fully equipped, complete with a gas stove, oven, and a big dining table where tenants can enjoy their meals. The central location of the apartment gives tenants easy access to nightlife options in the neighborhood. The room is perfectly tailored for 2 tenants: it has 2 single beds, 2 desks, 2 wardrobes, and a TV. The price of the room depends on the number of tenants. There is only 1 bathroom. The English speaking landlord doesn't live on the property and requires a 1 month rent as a deposit. Smoking is permitted and pets are not allowed. Rent can be paid in cash or by bank transaction. The house is a 4 minute walk from a tram stop with tram lines 2, 3 and 19 and a 4 minute walk from a bus stop with bus line N11.